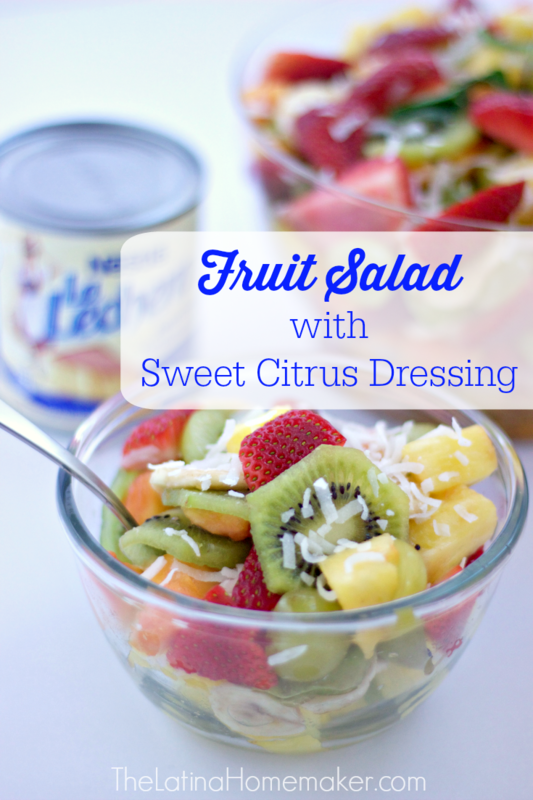 A refreshing fruit salad with a sweet citrus dressing that your entire family can enjoy! This is a sponsored post written by me on behalf of La Lechera®. All ideas and opinions are my own. This month has been unusually warm in our area and it feels like spring is inching closer. I love it when the weather starts to warm up because it reminds me of my childhood when I lived in Puerto Rico. One of the perks of living in the Caribbean was having an endless supply of fresh fruit at my disposal. A fruit smoothie or bowl of fruit salad was typically my snack of choice. Now that I have my own family, I like having fresh produce readily available for my kids and giving them a variety of healthy snacks. 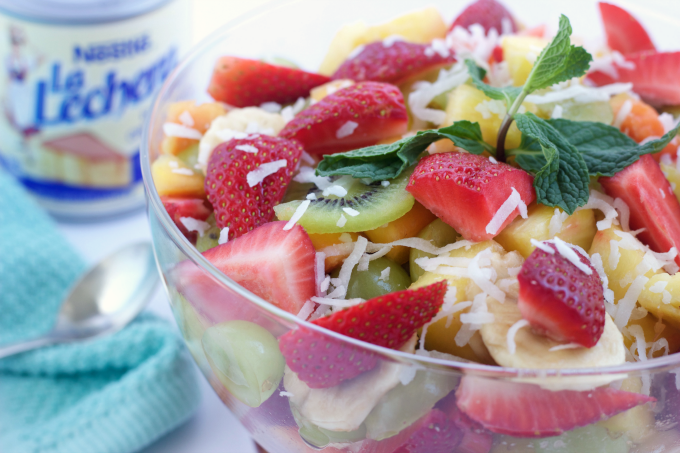 With the temperatures rising, I decided a fresh fruit salad would be an excellent snack option. 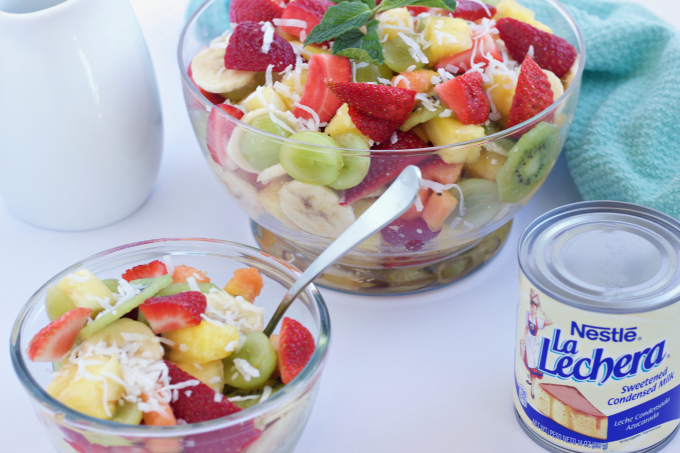 This fruit salad is a family favorite and it’s very easy to put together. You can eat it as is, or take it up a notch by adding a touch of sweet citrus dressing. The combination of fresh fruits with a delicious sweet citrus flavor is a mouthwatering experience you have to experience. The sweet and tangy flavors these fruits have to offer make them the perfect ingredient for a fruit salad. 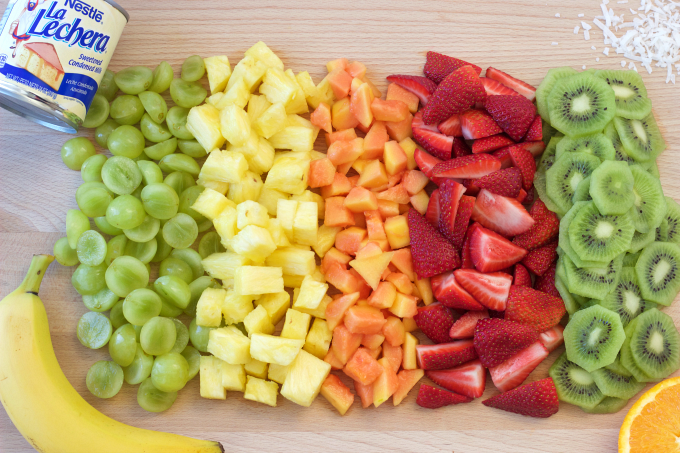 Doesn’t this rainbow of fruits look delicious?! The sweet citrus dressing is what takes the fruit salad to another level. Not only does it smell wonderful, the flavor combination of La Lechera® Sweet Condensed Milk, orange and lime, tastes delicioso! 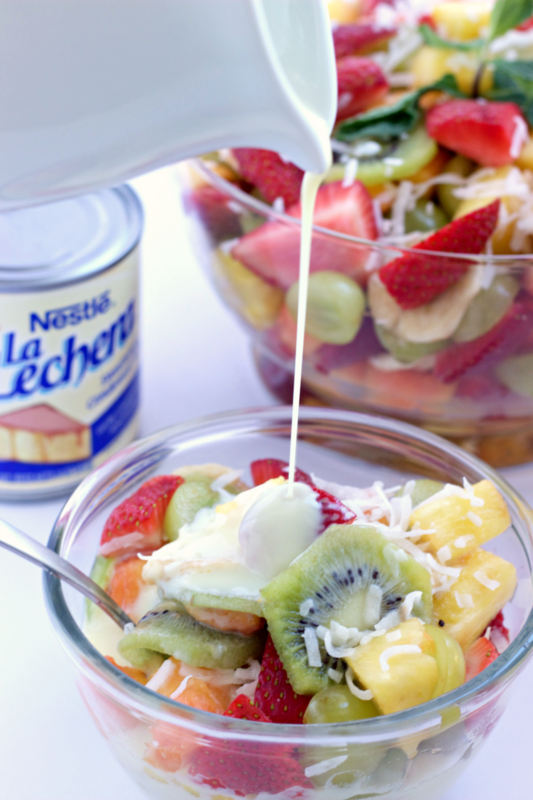 For more recipe ideas and inspiration check out La Lechera® online, Facebook and Pinterest! What are some of your family’s favorites snacks? I’d love to hear from you! 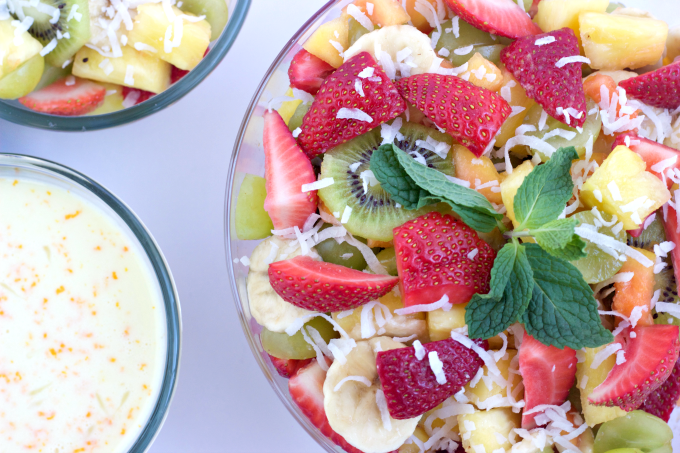 A refreshing fruit salad with sweet citrus dressing that your entire family can enjoy! 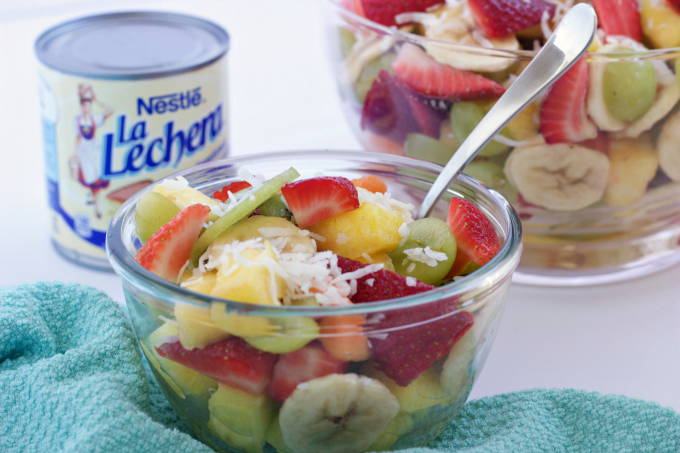 Combine chopped fresh fruit in a large bowl. Place fruit in refrigerator and chill. In a separate bowl, mix sweetened condensed milk, orange juice, lime juice and orange zest. Pour citrus dressing over fruit salad and serve. Enjoy!